Cups / Samsung Cup / Chinese ranking #2 Kong Jie 9-dan almost lost his game to Korean insei! Chinese ranking #2 Kong Jie 9-dan almost lost his game to Korean insei! As Lee Wonyoung said in his recent interview: "I am very weak in yose". Kong Jie, 9-dan was lucky - he played better than Lee in yose and won by 0.5 point! 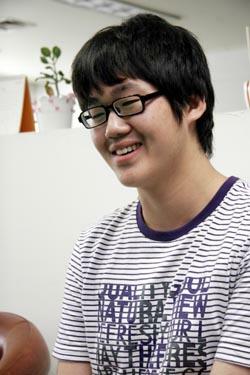 Few weeks ago Lee Wonyoung became 1-dan pro - as best Korean Baduk Association insei. We will see him soon in pro tournaments. How do you think, how soon will he fight for big pro titles?